Please contact the CHEA office in Fresno at 559-255-4531 or chea@chea-elks.org. Pigs are available to the Lodges free of charge at 1 case (60/case). HI , MY NAME IS JOHN GELSOMINO . I AM A MEMBER OF LODGE #2285 , MEMBER # 2074 . COVENRTY-WEST GREENWICH , R.I.02816 . I AM A PAST TRUSTEE , PAST HOUSE CHAIR , PRESENT HOUSE CO-CHAIR . SEEN THESE BANKS AT THE PEARL CITY LODGE IN HAWAII . WOULD LIKE TO GET SOME . FOR OUR OFFICER’S AT OUR LODGE . SO WE CAN START COLLECTING DONATIONS FOR THIS GREAT AND SPECIAL PROJECT . I ALSO SEEN A LARGER PURPLE PIG BANK THAT TALKED , WHEN YOU PUT COINS IN . AM VERY HAPPY TO PAY OR DONATE ALL THAT IS NEEDED TO OBTAIN THESE . PLEASE FORWARD ALL INFO . THANK YOU AGAIN . MAY OUR “GOD” BE WITH US ALL , ALWAYS . JOHN . Who does a lodge webmaster contact to get a link to the Purple Pig Gazette so the lodges who do have a website can add a link to this publication on their website? 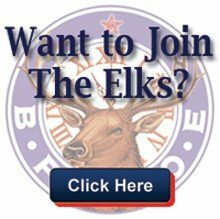 Here is the link – https://chea-elks.org/piggy%20bank%20gazette/. FYI, anyone may copy a link from their browser and link it to their website by pasting the link on their web page. Thanks for your email.